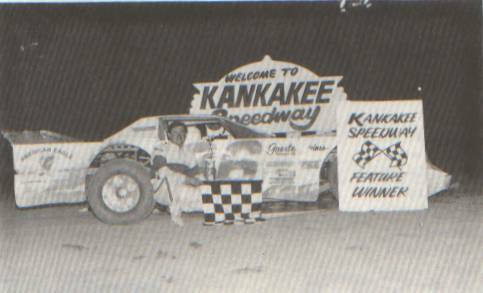 The Kankakee County Speedway has endured multiple name changes over the decades, and believe it or not, it's location has changed as well. 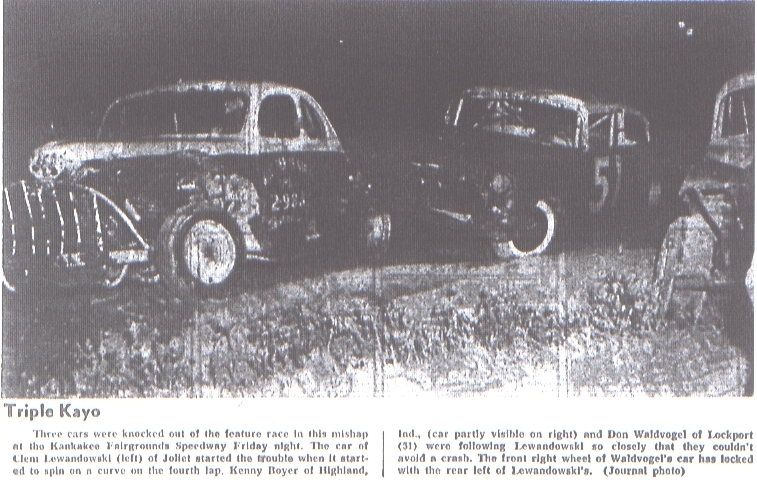 From it's birth in 1940's, with no champions on record, racing was held at the old fairgrounds at Horse's Old Fair Park, on North Indiana Ave. by the Schuyler quarry next to Bradley. 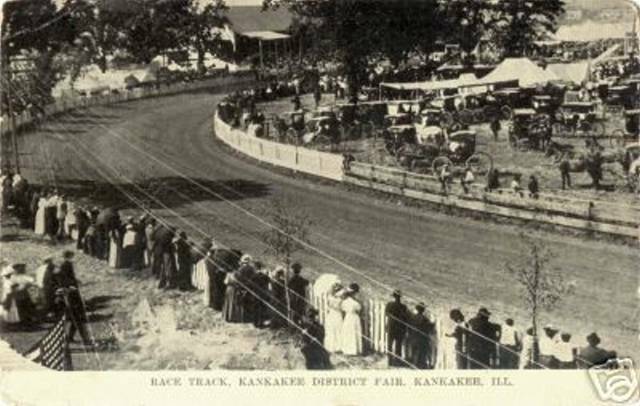 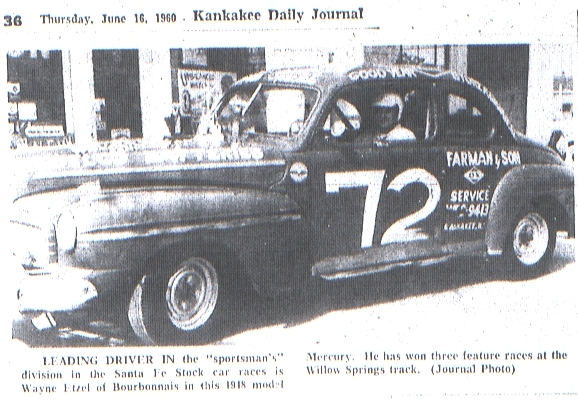 Prior to that, racing was contested throughout Kankakee County as early as the 1900's. 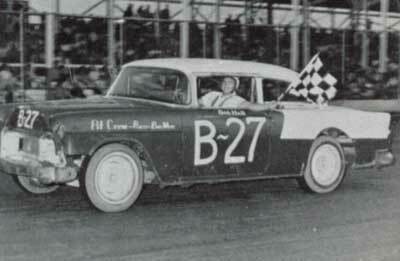 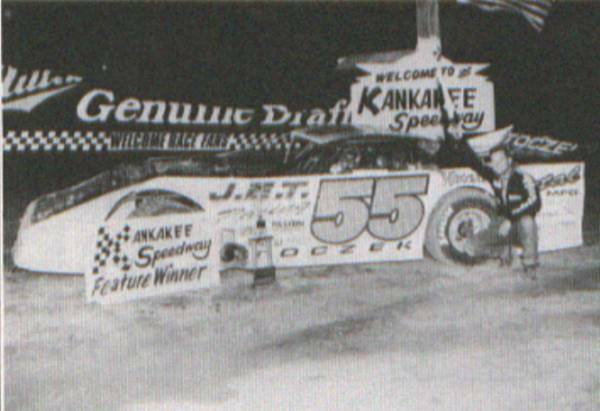 Racing was held at the current Kankakee Fairgrounds Speedway from 1949-1959 on the half-mile. 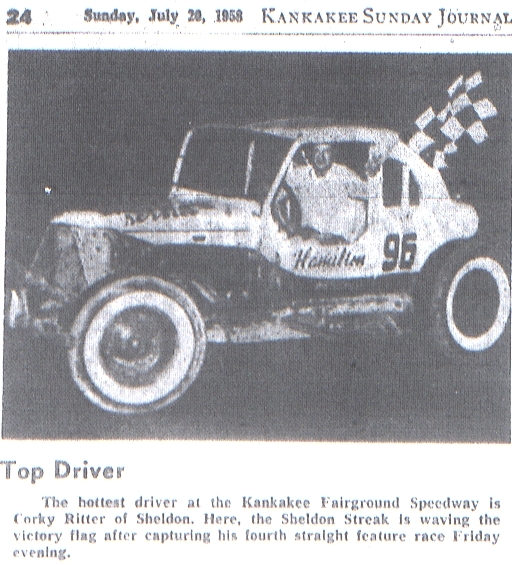 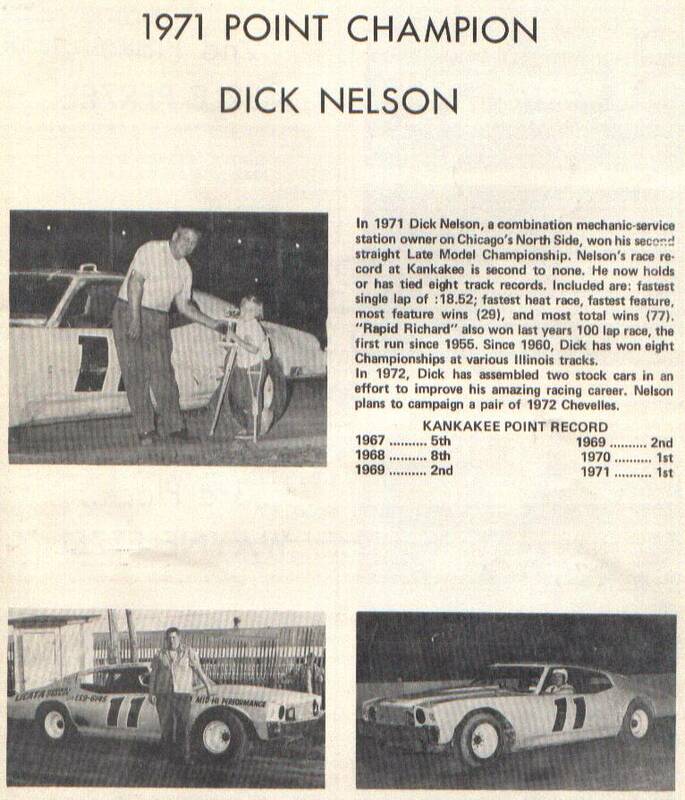 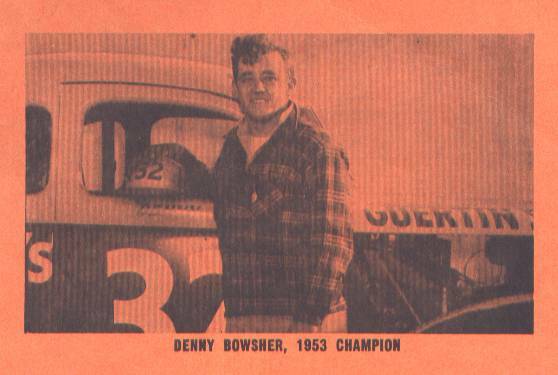 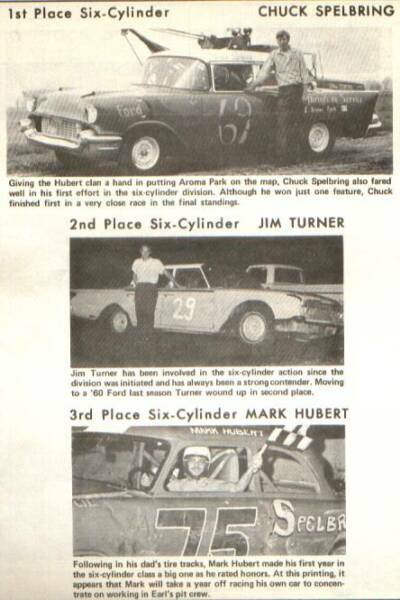 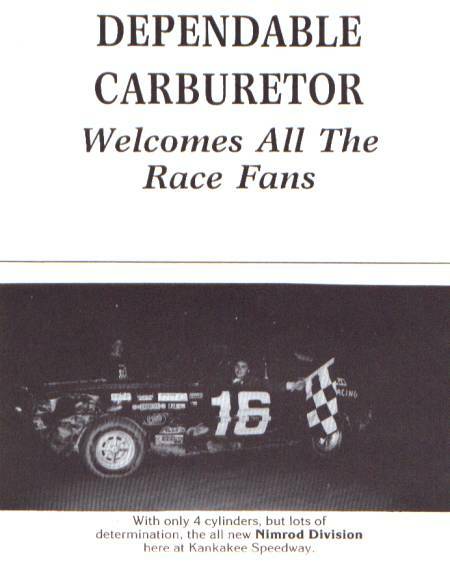 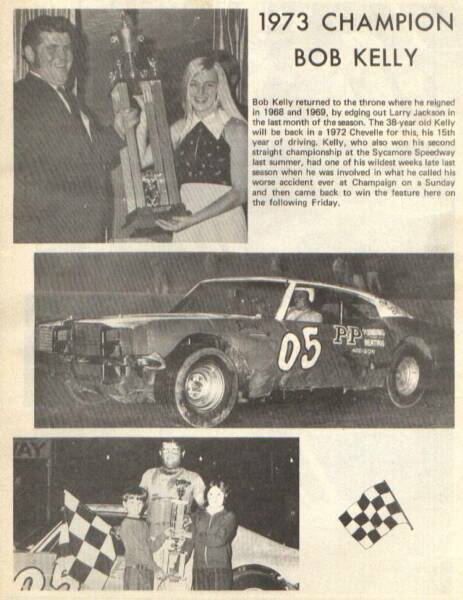 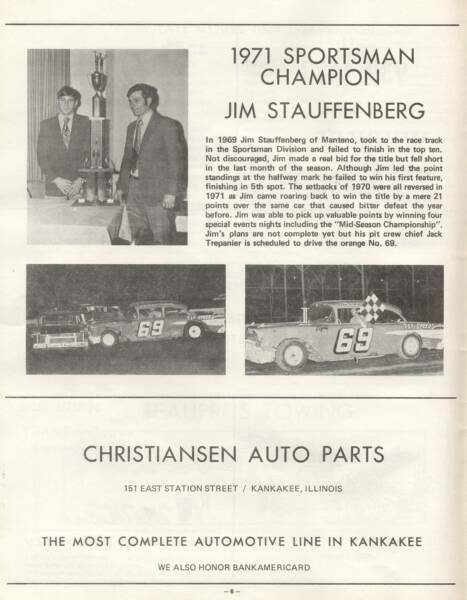 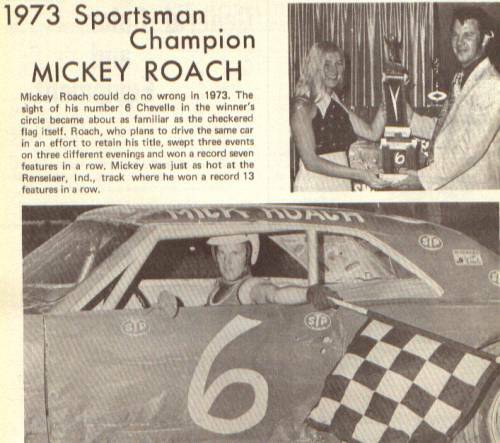 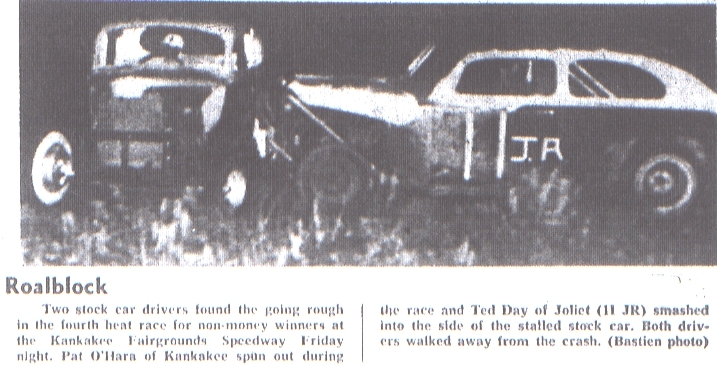 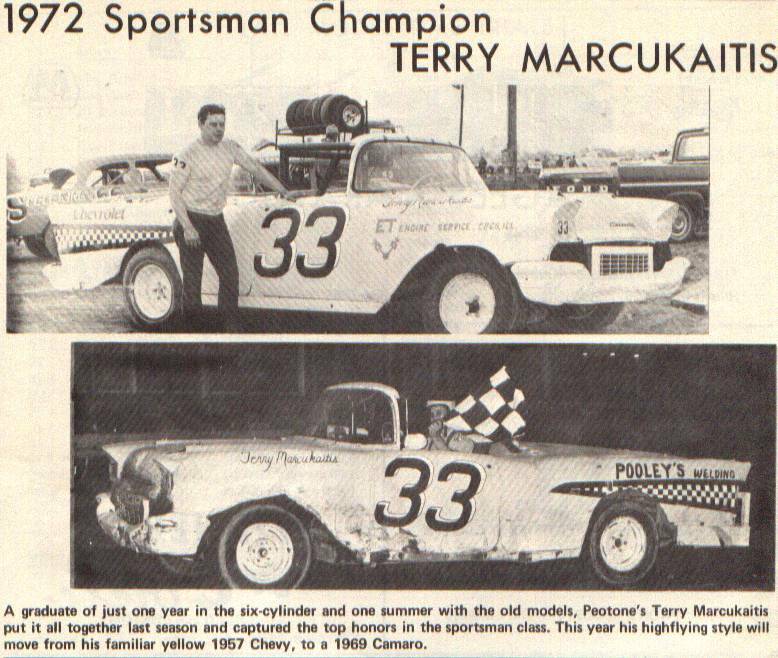 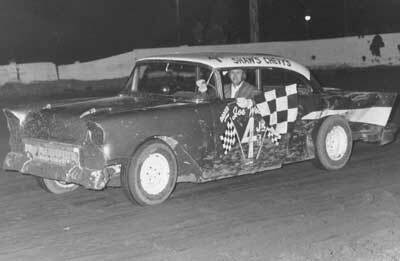 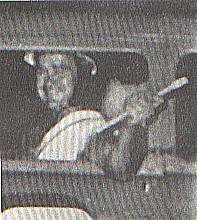 However, at the conclusion of the 1959 season, the track closed due to a driver's strike for one year only to resume racing in the Kankakee area at Sugar Island Speedway in the early '60's. 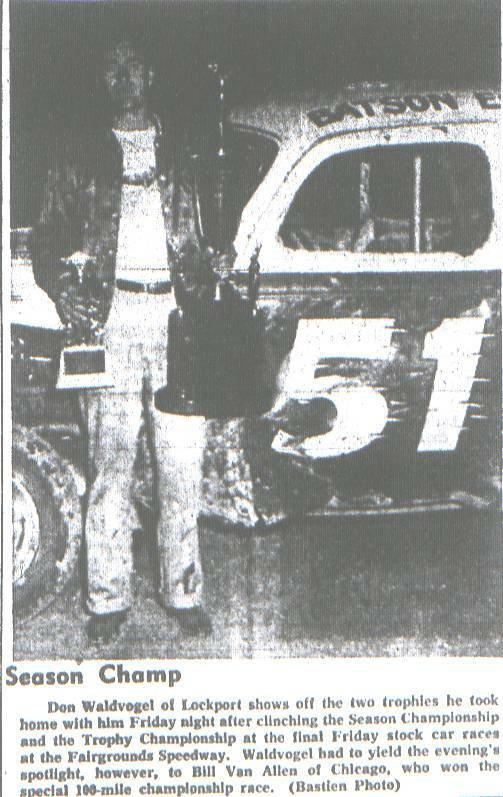 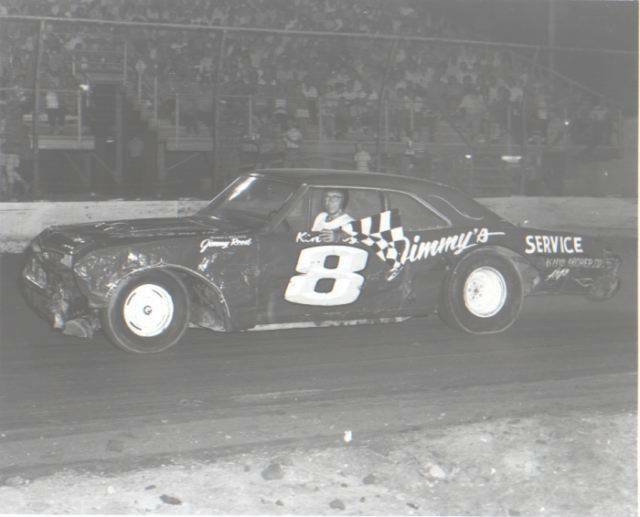 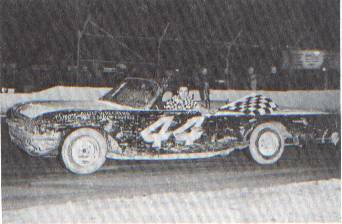 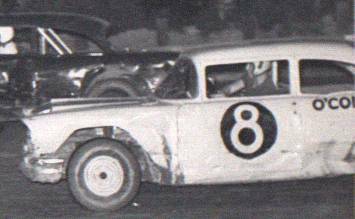 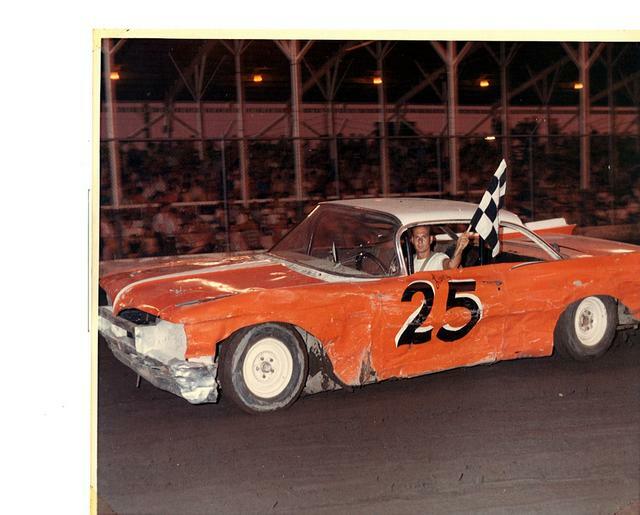 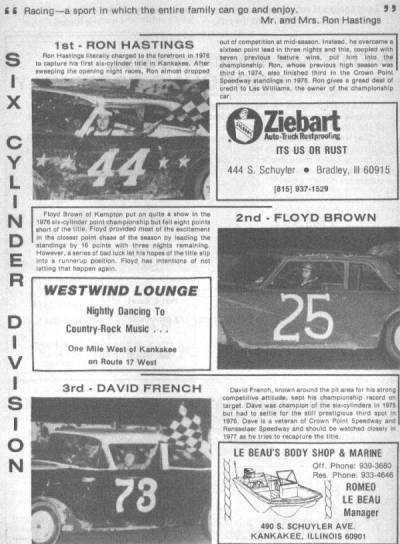 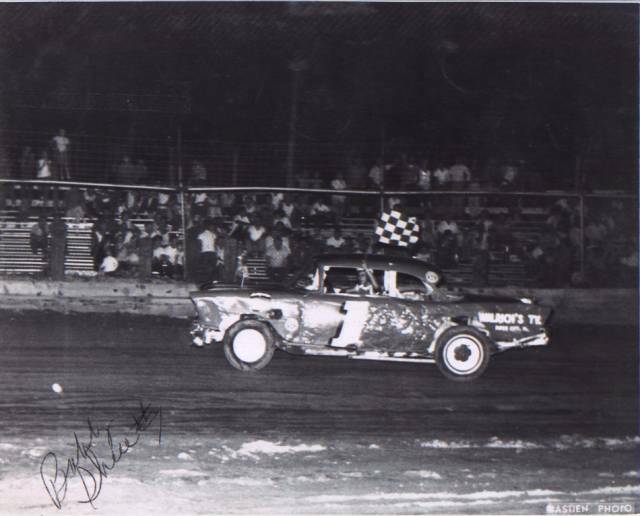 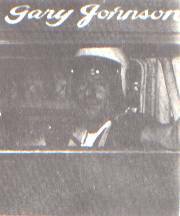 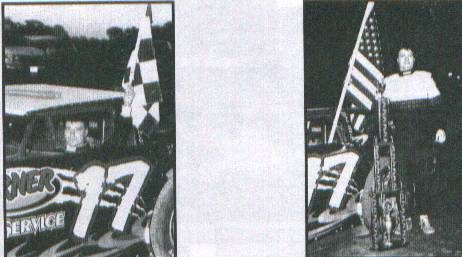 Racing continued at the Sugar Island Speedway from 1961-1966, before moving back to the current fairgrounds site as Kankakee Speedway from 1967-1984 under Wayne Etzel and company. 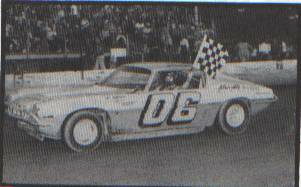 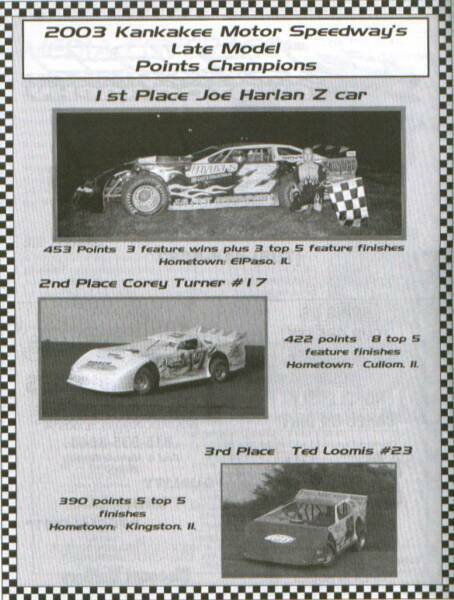 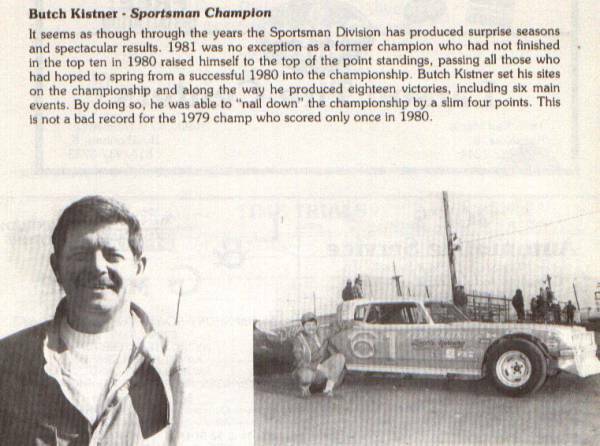 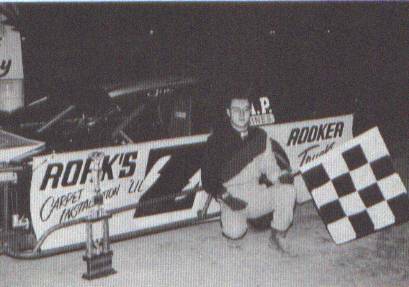 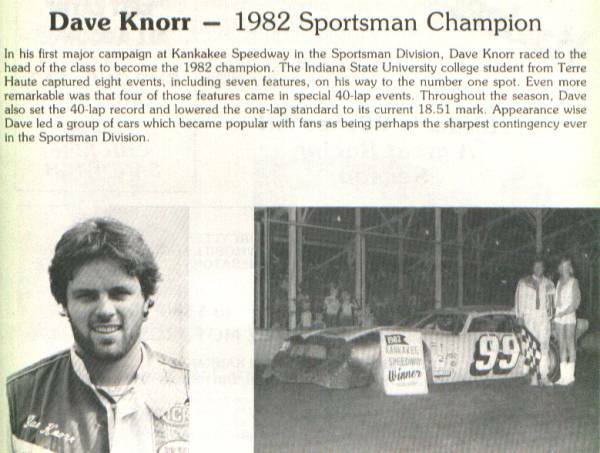 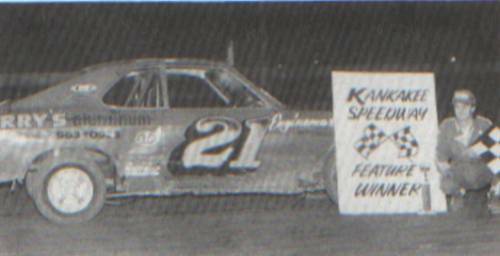 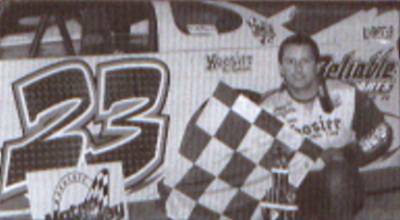 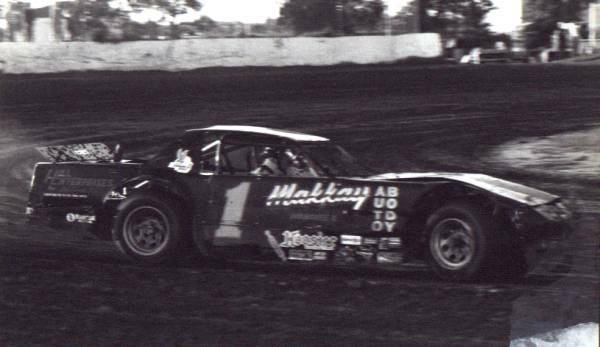 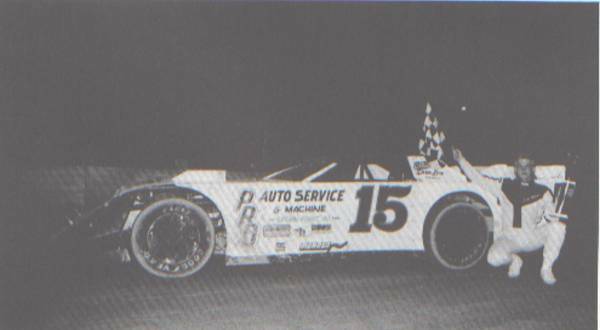 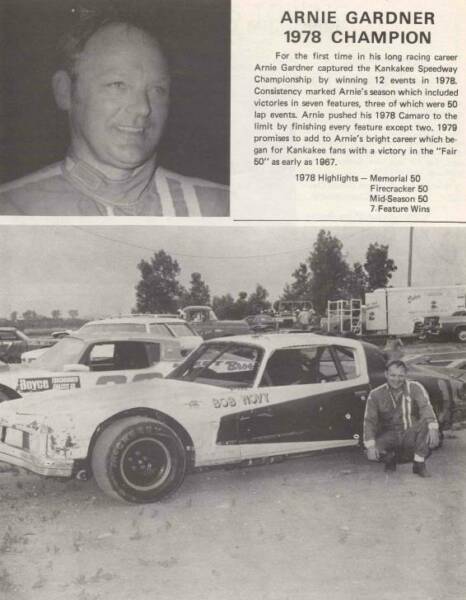 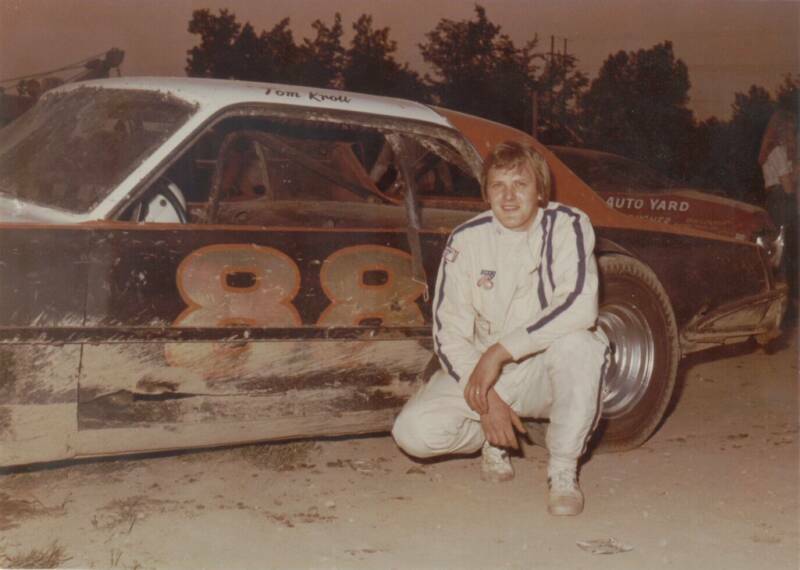 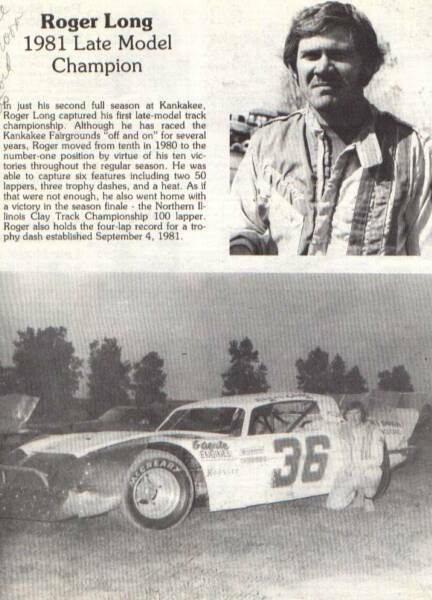 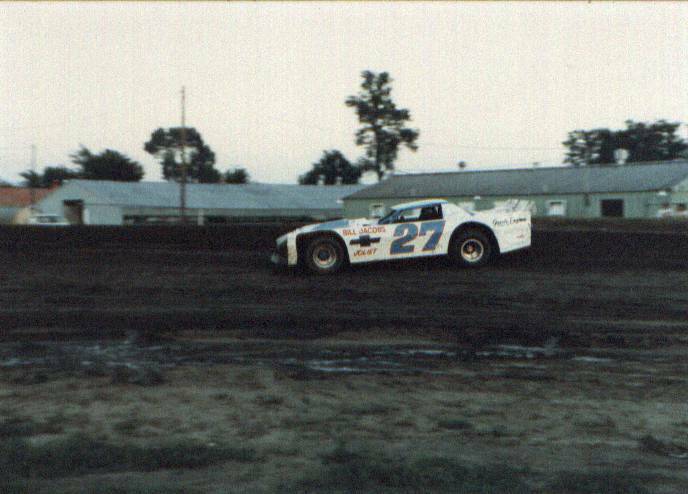 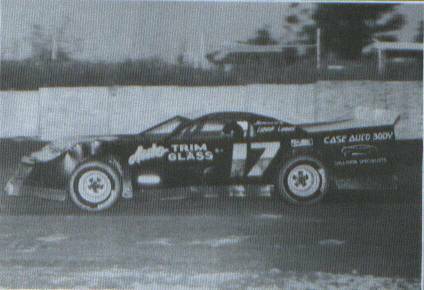 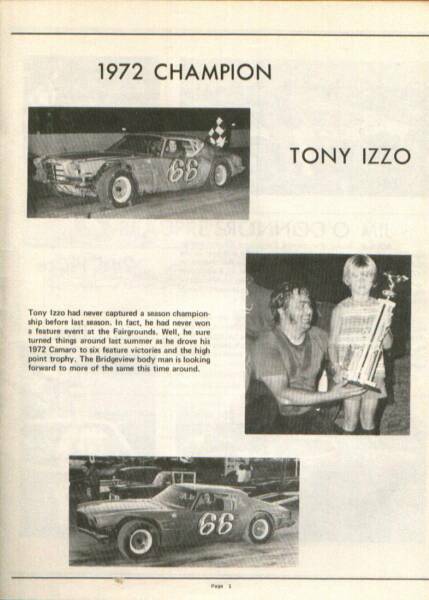 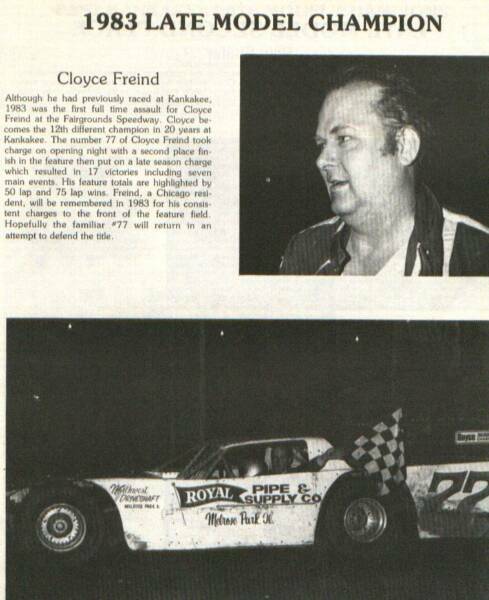 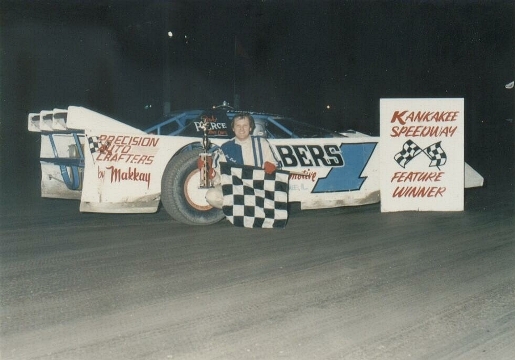 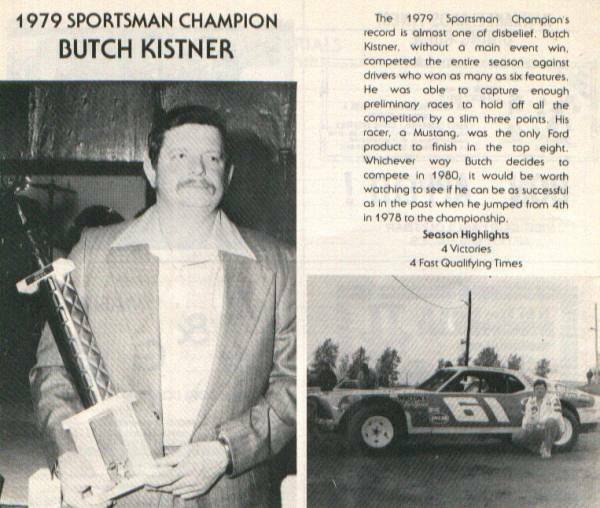 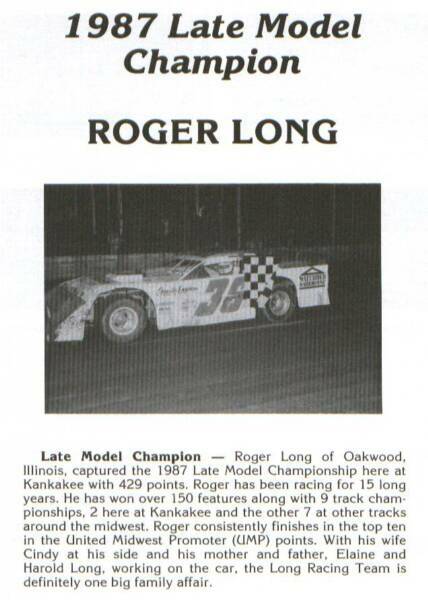 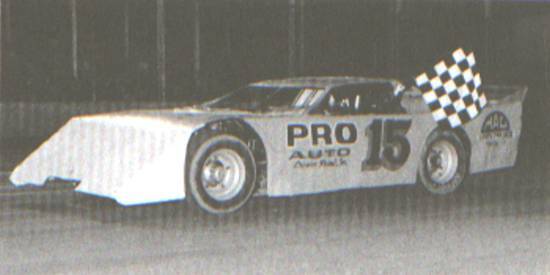 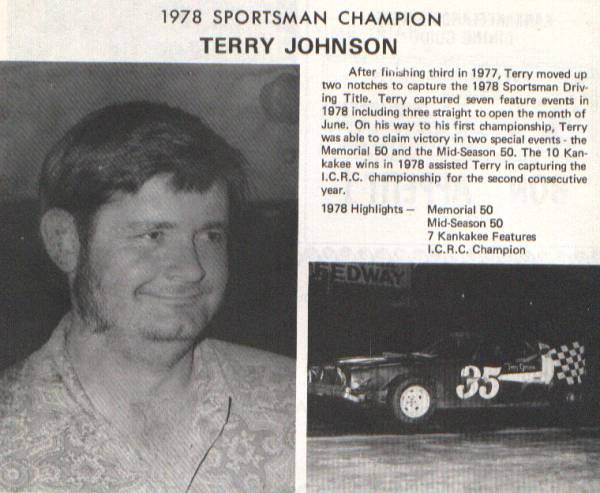 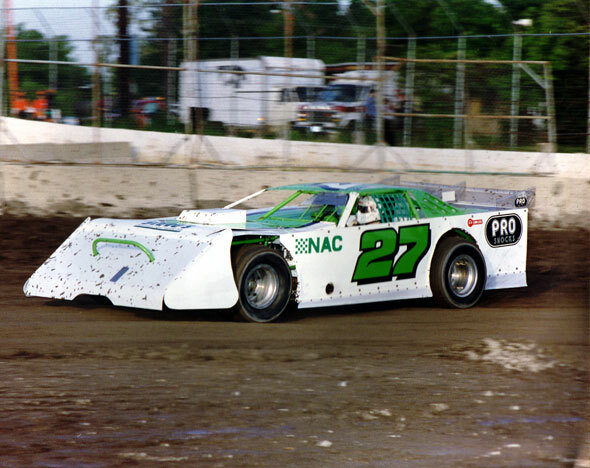 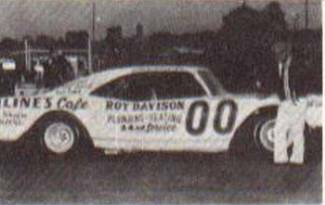 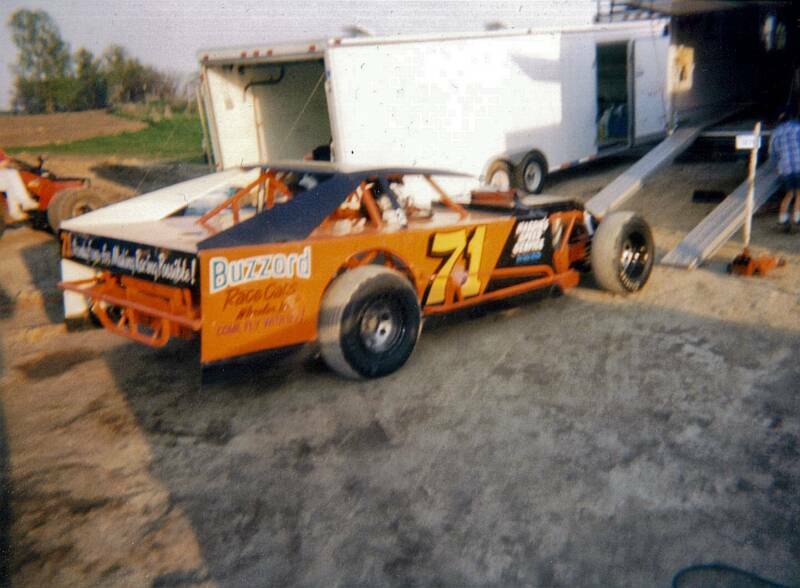 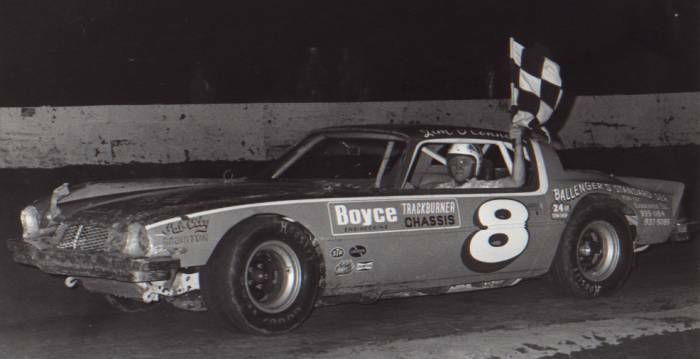 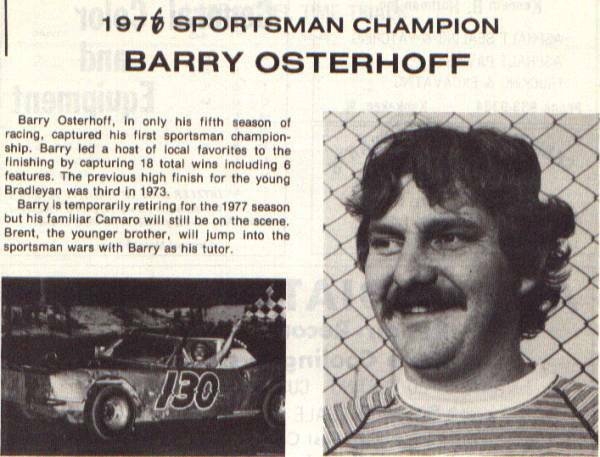 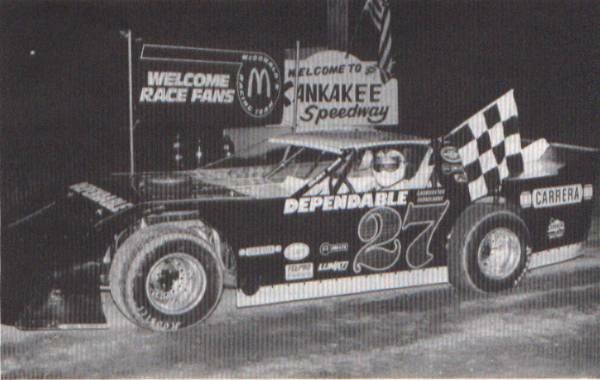 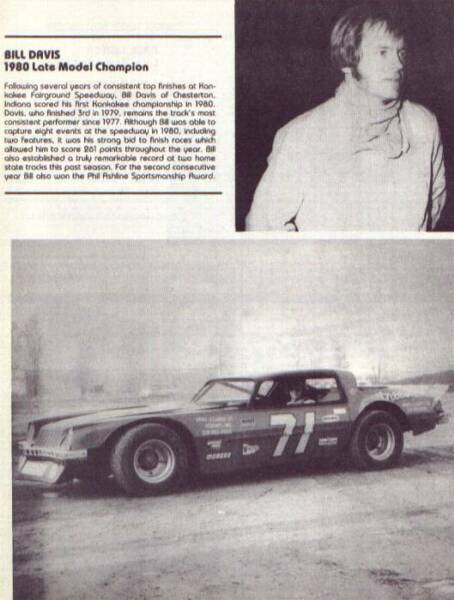 Then from 1985-1987 it returned to Kankakee Fairgrounds Speedway under Glenn Moren, and from 1988-1999 it returned back to Kankakee Speedway under the Izzo Family. 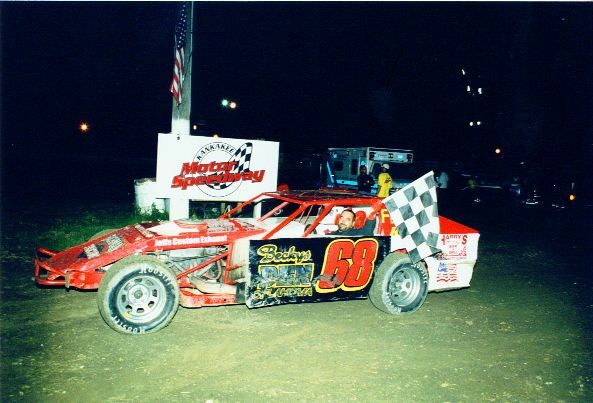 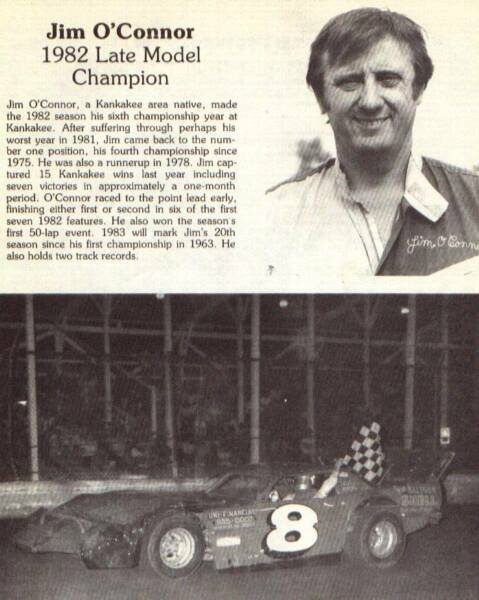 From 2000-2004, the O'Connor Family promoted the Kankakee Motor Speedway, before the Osterhoff Family took over in 2005 when it was known as Kankakee Valley Motor Speedway. 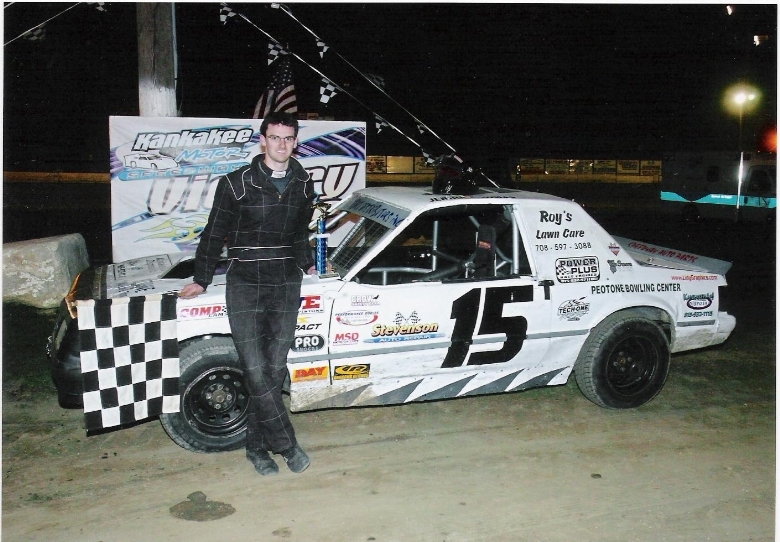 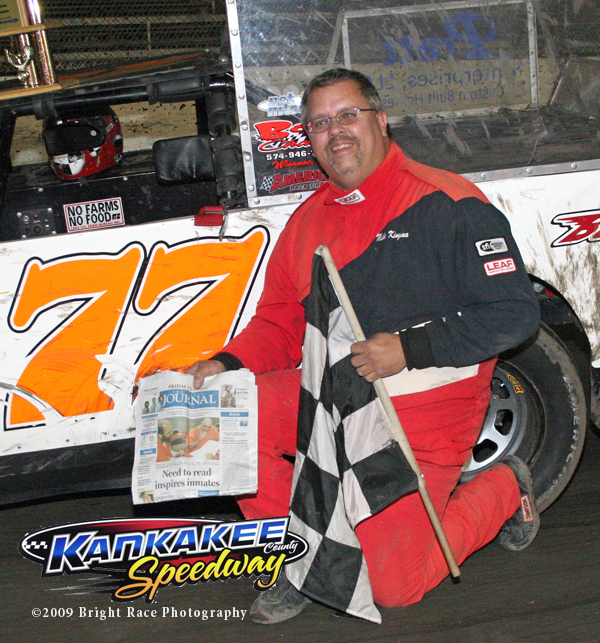 Sherri Heckenast & Family took the reigns in 2006-2007 and returned it back to Kankakee Motor Speedway. 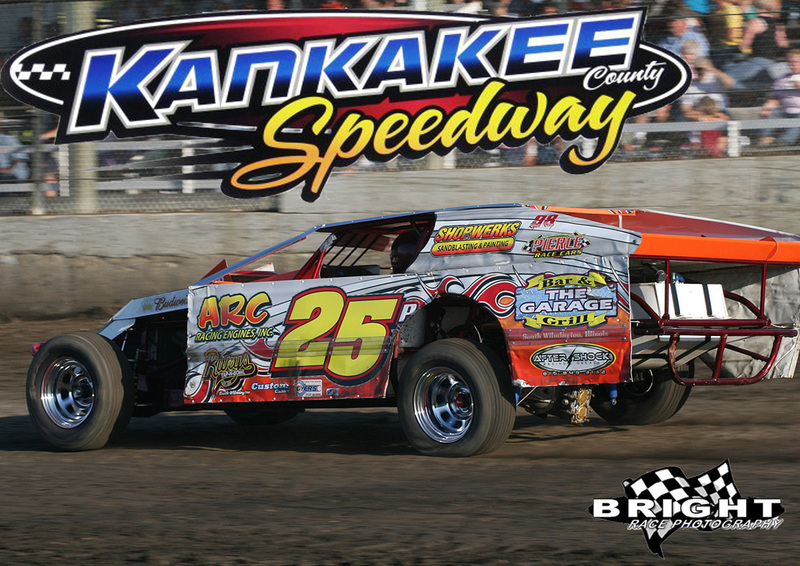 And now, Kankakee County Speedway prepares to write its' own bit of history. 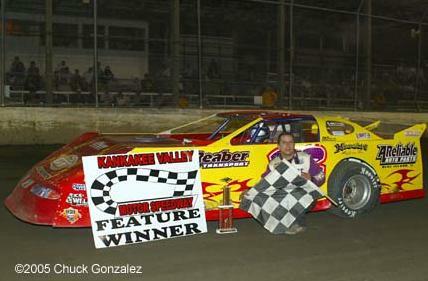 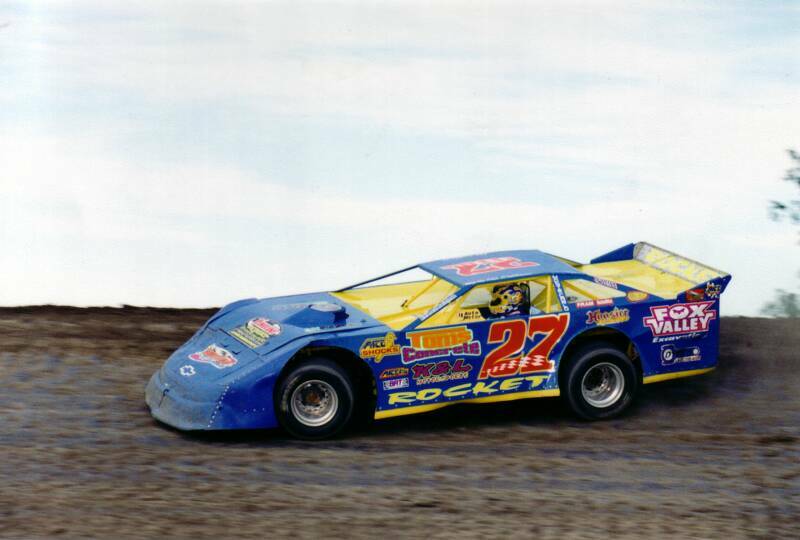 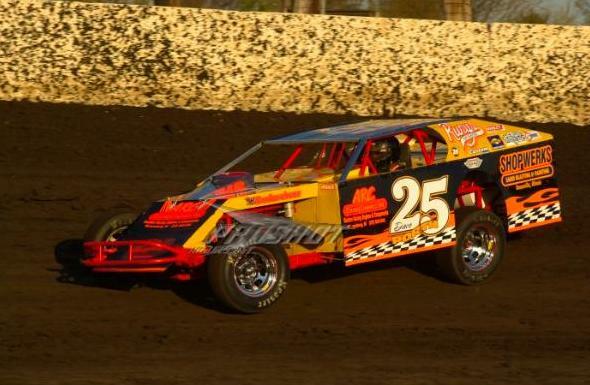 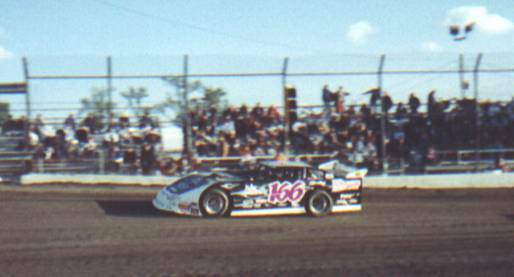 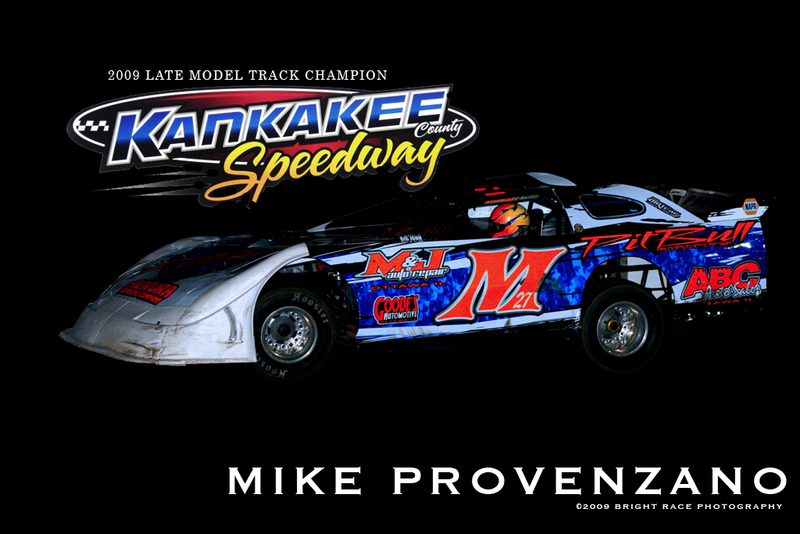 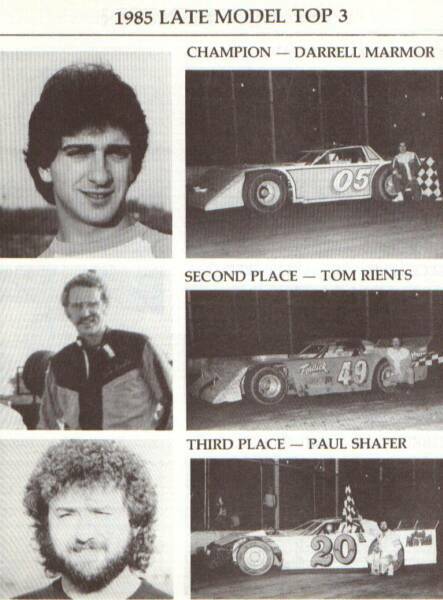 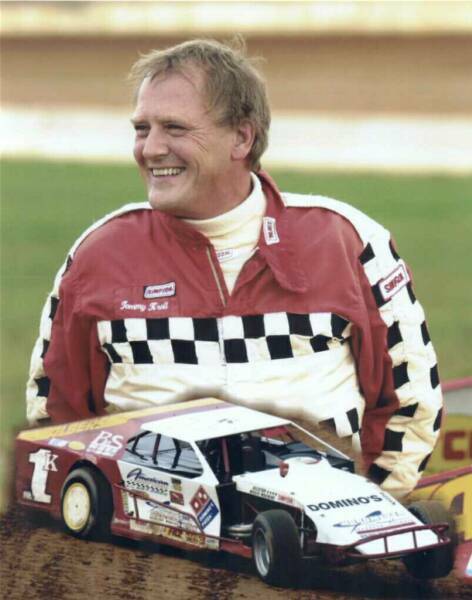 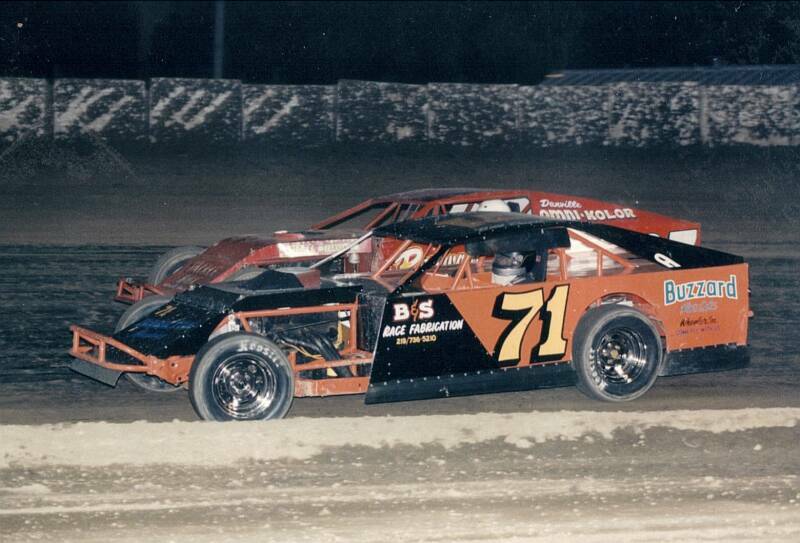 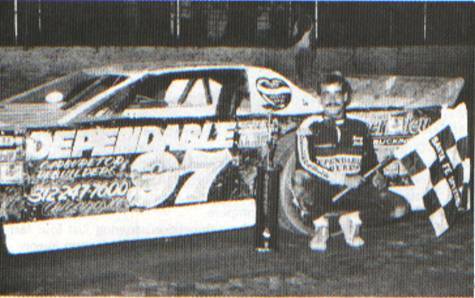 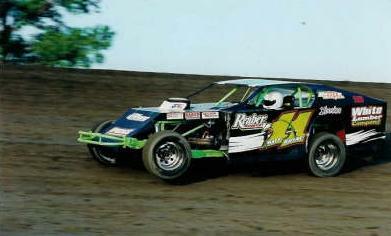 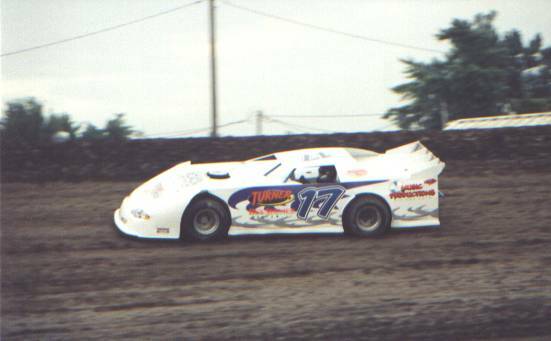 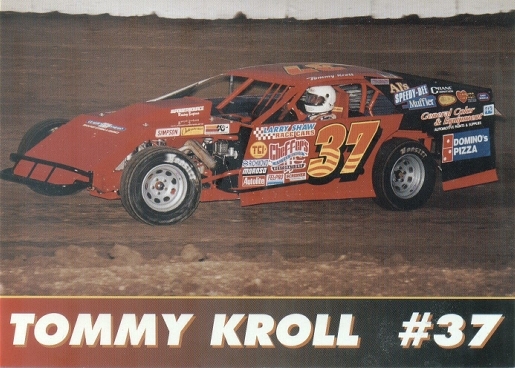 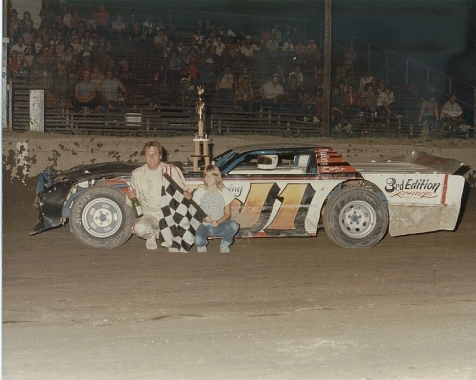 It is believed that Tommy Kroll and Jim O'Connor are the winningest drivers in the history of the Kankakee speedplant. 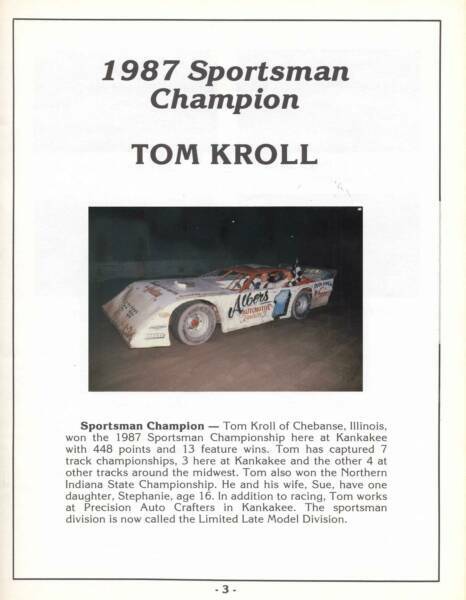 In fact, Kroll has won track championships in four different decades and still remains very competitive to this day. 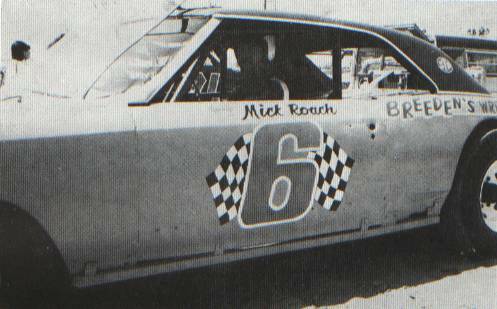 Mick Roach, with his three track titles, has the unenviable distinction of having the longest drought between championships at twenty-five years, 1974 thru 1999. 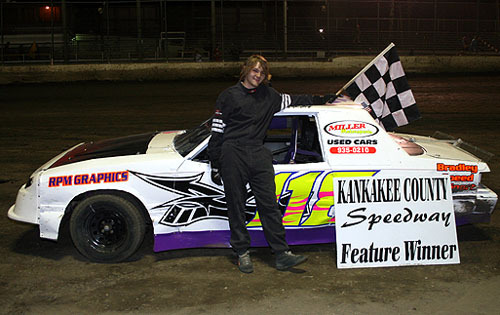 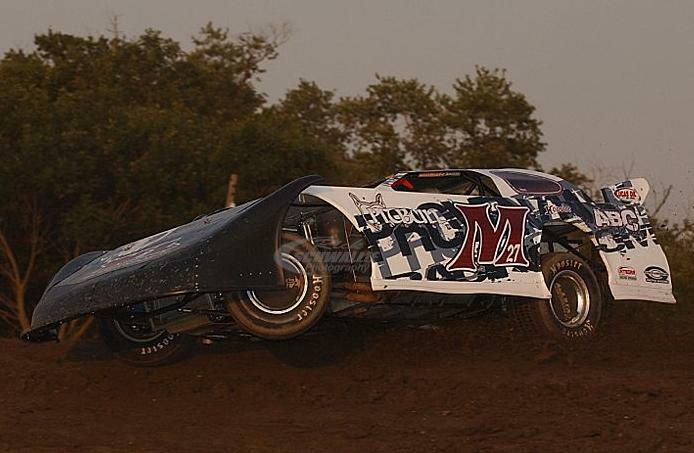 Two drivers have won six track championships at Kankakee. 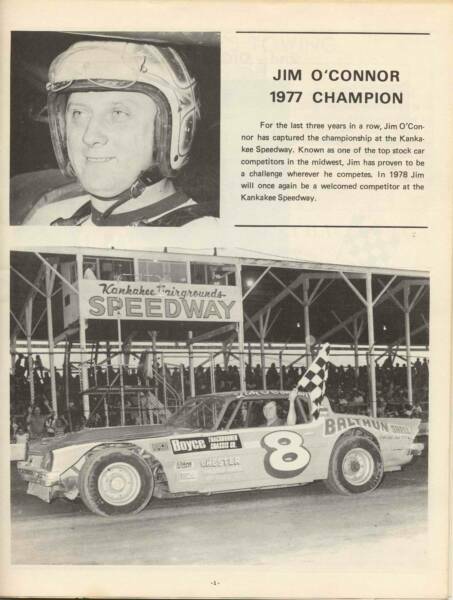 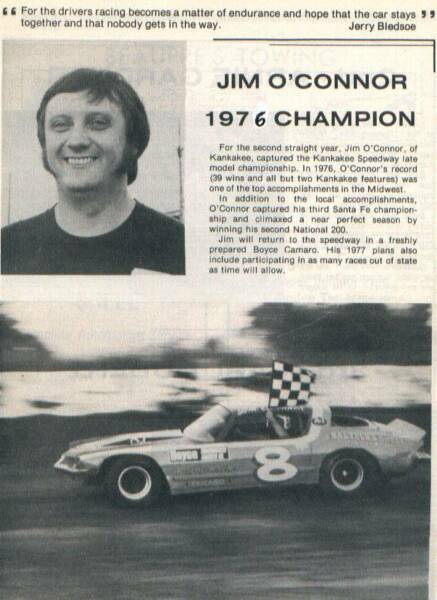 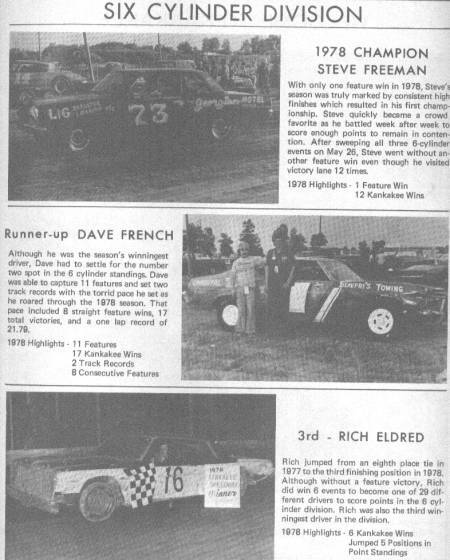 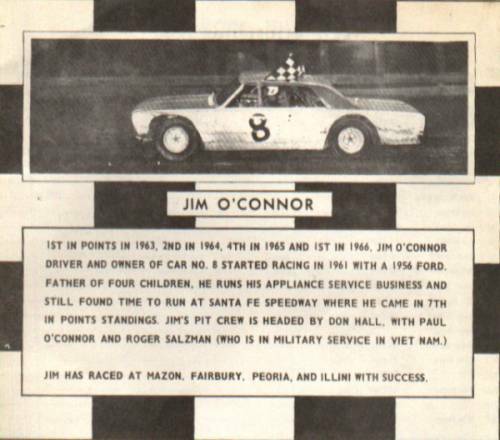 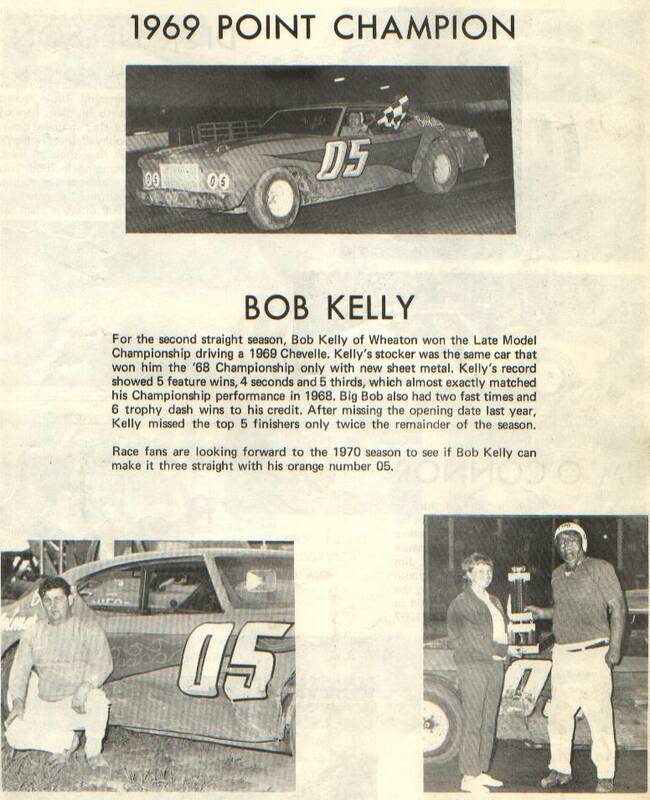 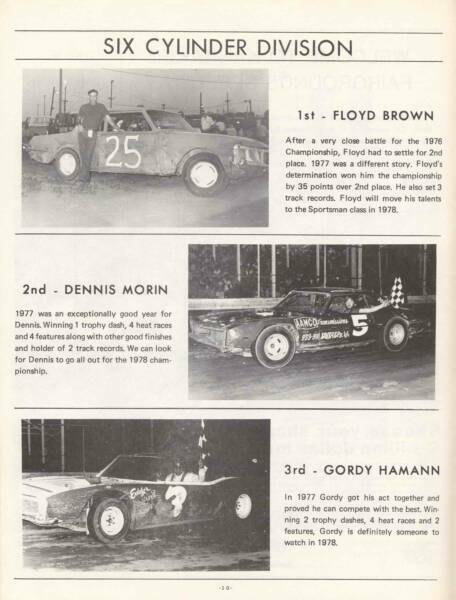 They are Jim O'Connor of Kankakee ('63, '66, '75, '76, '77, '82) in Late Models, and Tommy Kroll of Chebanse ('77, '84, '87, '89, '96, '07), the first three came in the Sportsman class, his fourth title coming in Limited Late Models, and the latter two coming in Modifieds. 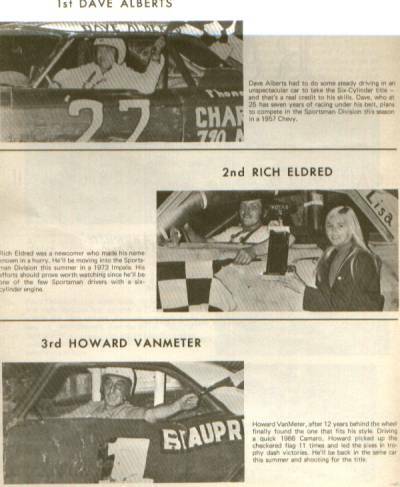 Only three drivers have won three consecutive titles. 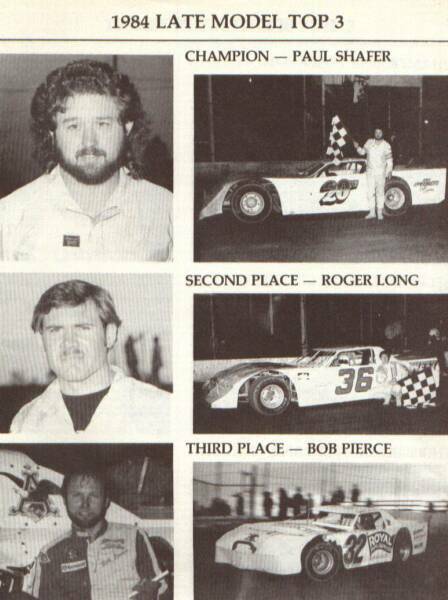 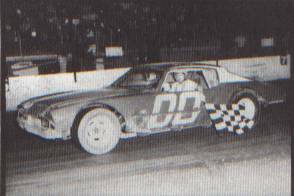 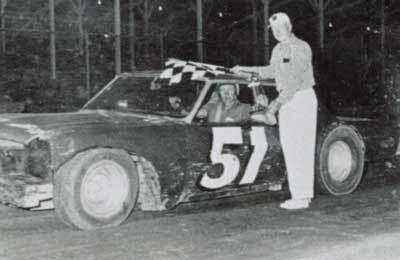 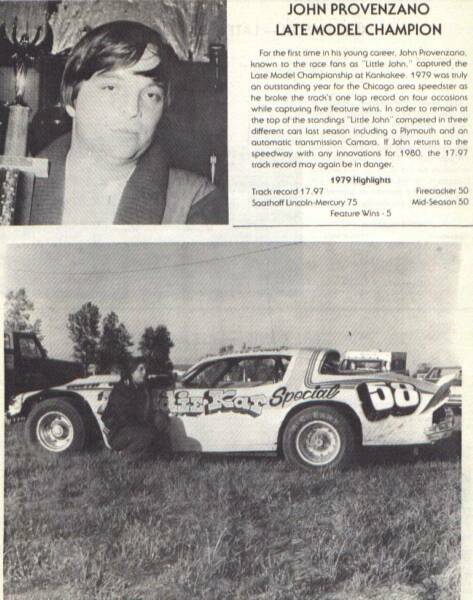 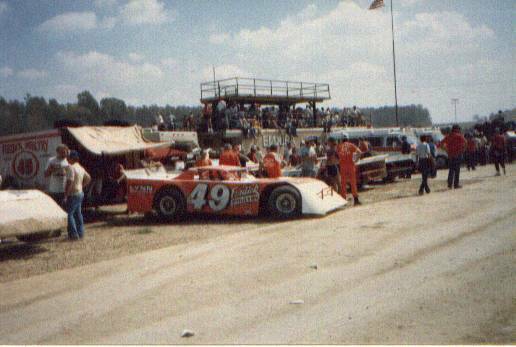 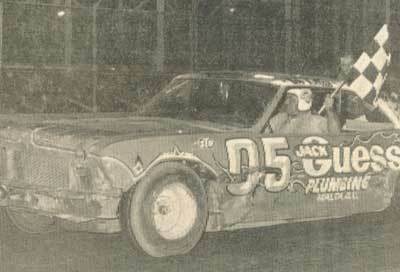 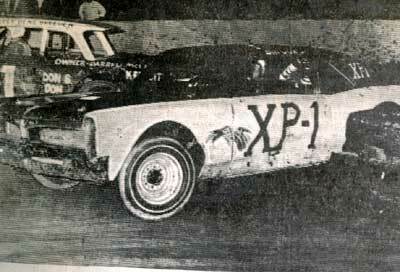 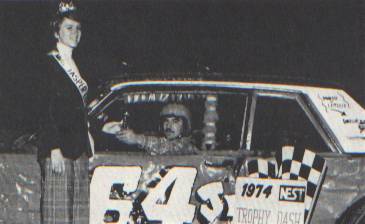 Jim O'Connor(LM), Roger Long(LM), and Billy Wicker(SS). 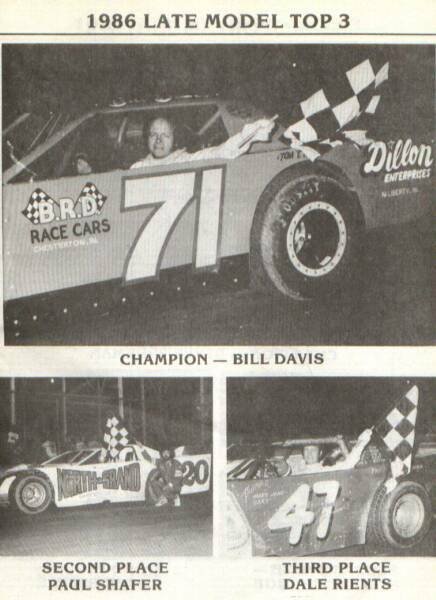 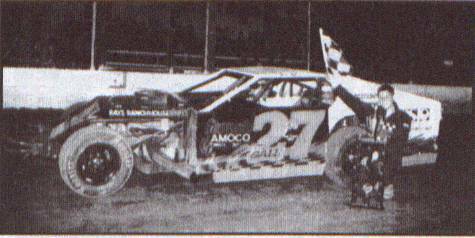 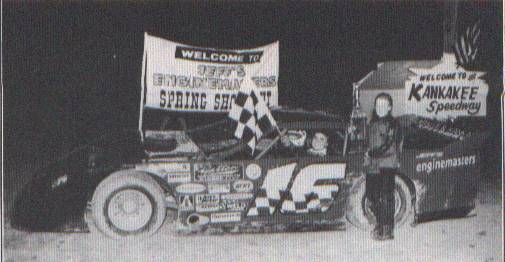 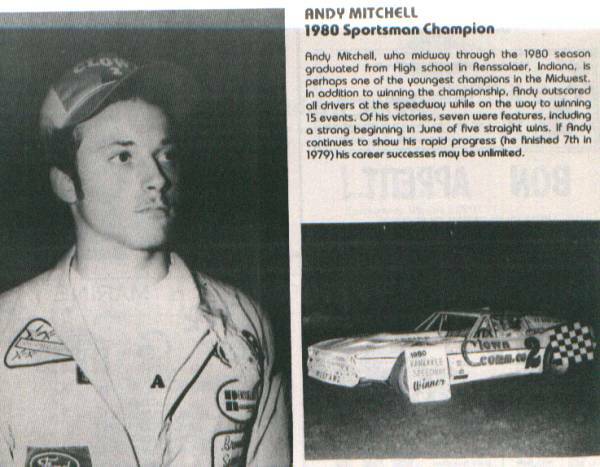 Billy Wicker of Bradley has won five titles in the Street Stock class ('99, '00, '01, '06, '07), as has the aforementioned Bill Davis. 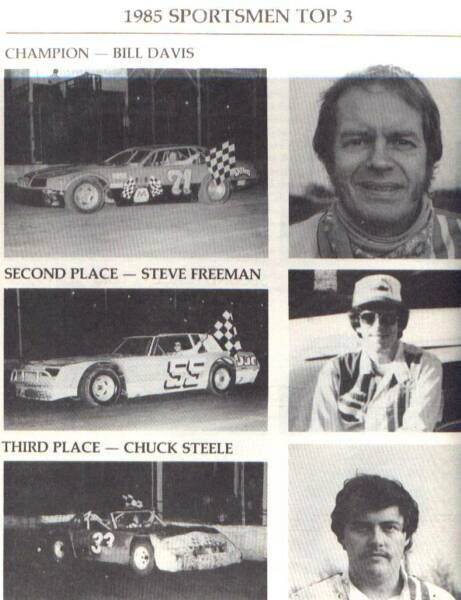 Five drivers have captured four titles apiece. 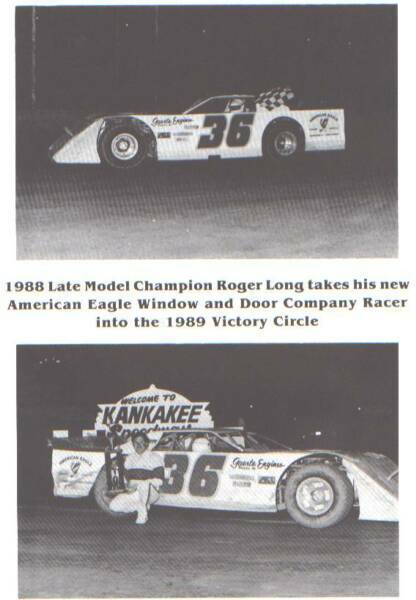 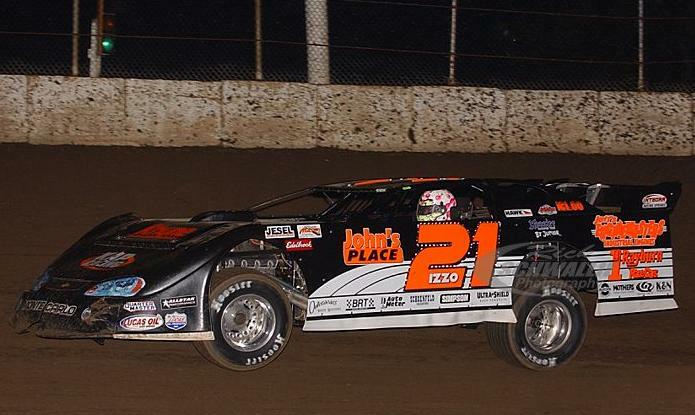 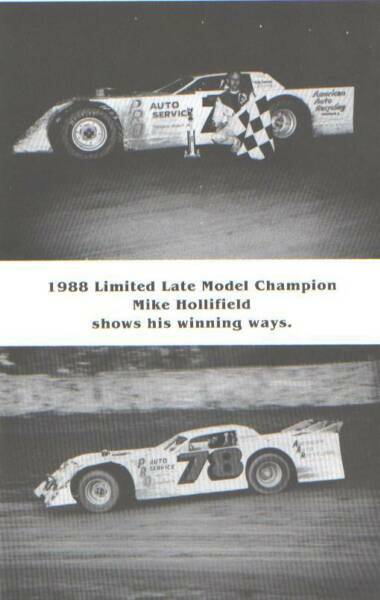 Don Waldvogel, Roger Long, and Bob Pohlman Jr. all winning four Late Model crowns, and Steve McCarty being triumphant four times in Street Stocks, while Mike Kingma added his name to the list by winning his third I-Mod title in 2012.